U.S. Secretary of Agriculture Sonny Perdue today joined President Trump for a “Farmers Roundtable” at the White House to address issues facing the American agriculture community, as the president signed an Executive Order establishing an Interagency Task Force on Agriculture and Rural Prosperity. The roundtable discussion allowed representatives from all corners of American agriculture to raise concerns and share ideas, just as the task force begins its mission “to promote economic development and revitalization, job growth, infrastructure, innovation, and quality of life issues for rural America,” according to the president’s order. The session capped a busy first day in office for Perdue, who was sworn in by Associate Justice of the Supreme Court Clarence Thomas as the 31st U.S. Secretary of Agriculture before greeting employees at the U.S. Department of Agriculture (USDA) and travelling to the White House for the roundtable. 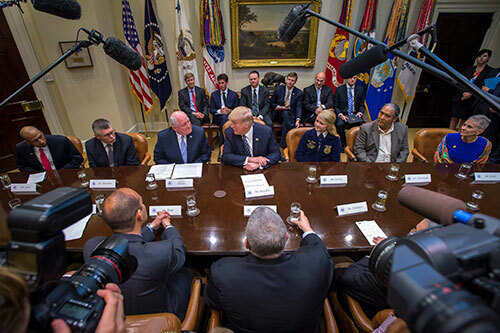 U.S. Secretary of Agriculture Sonny Perdue joined President Trump for a Farmers Roundtable at the White House to discuss improving American agriculture. 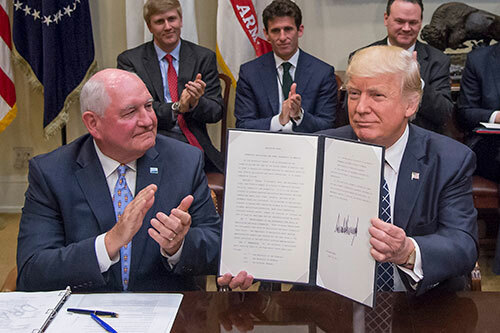 President Trump’s Executive Order established the Interagency Task Force on Agriculture and Rural Prosperity “to ensure the informed exercise of regulatory authority that impacts agriculture and rural communities.” As Secretary of Agriculture, Perdue will serve as the task force’s chairman. U.S. Secretary of Agriculture Sonny Perdue will chair a task force on rural prosperity created by an Executive Order signed by President Trump. The task force will examine and consider, among other issues, current barriers to economic prosperity in rural America and how innovation and technology may play a role in long-term, sustainable rural development. The panel will attempt to strengthen federalism by working with state agencies charged with implementing economic development, agricultural, and environmental programs, while also emphasizing regulatory flexibility for farms and small businesses. 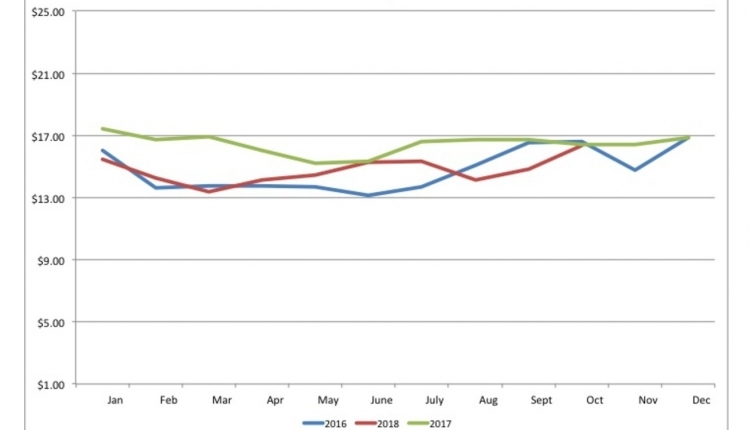 With a dependence on sound science, task force members will examine crop protection tools used by farmers and also address concerns regarding labor needed for livestock and year-round agricultural jobs. Additionally, the group will focus on tax policies that allow family farms to remain intact, while also protecting against federal takeover of state-adjudicated water rights, permitting and licensing, and conservation requirements beyond what is provided in law. Finally, members will look to improve food safety and the implementation of food safety laws, but also recognize the unique nature of farming and the diverse business structures of farms. • Heads of such other executive departments, agencies, and offices as the President or the Secretary of Agriculture may, from time to time, designate. Sonny Perdue, the 31st U.S. Secretary of Agriculture, came by his knowledge of agriculture the old fashioned way: he was born into a farming family in Bonaire, Georgia. From childhood, and through his life in business and elected office, Perdue has experienced the industry from every possible perspective. Under Secretary Perdue, the USDA is facts-based and data-driven, with a decision-making mindset that is customer-focused. As the former governor of Georgia, he is a strong believer in good government who will seek solutions to problems and not lament that the agency might be faced with difficult challenges. 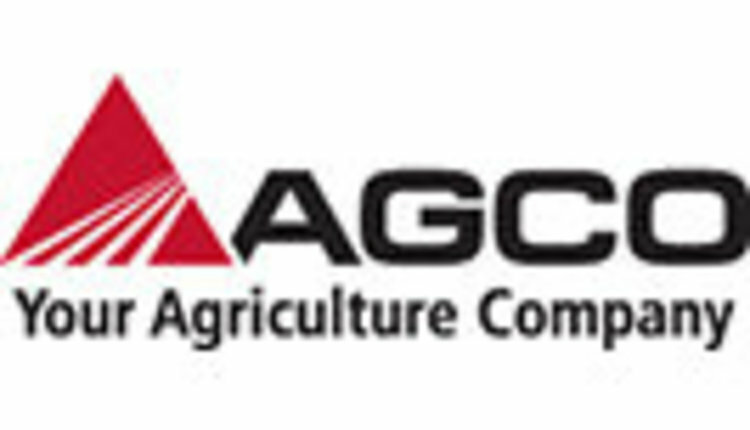 His four guiding principles are clear: to maximize the ability of American agriculture to create jobs, sell foods and fiber, and feed and clothe the world; to prioritize customer service for the taxpayers; to ensure that our food supply is safe and secure; and to maintain good stewardship of the natural resources that provide us with our miraculous bounty. And understanding that we live in a global economy where trade is of top importance, Secretary Perdue has pledged to be an unapologetic advocate for American agriculture.